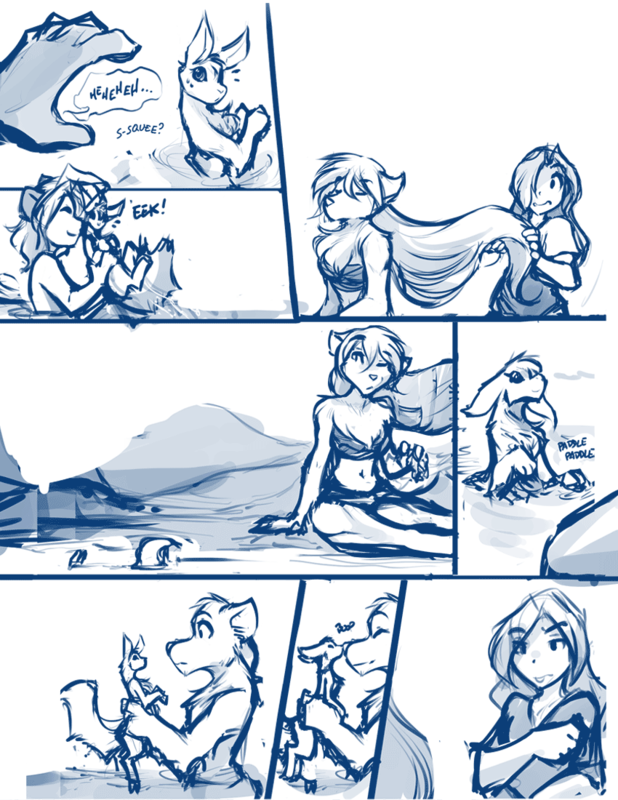 967: Squirrely Suspicions - Twokinds - 15 Years on the Net! Karen: Ah! Sythe! Your pet squirrel is so cute! I could just eat her up! Maren: Ew! Karen, put that thing down! You don’t know where it’s been! Honestly, where did that thing even come from, anyway? No normal squirrel hangs around a bunch of predators. It must be diseased. Raine: Snnrx-! Huh? Wha-? Oh. I dunno. I think we’d notice by now if it was. She was probably someone’s pet, maybe. Although… hm… I’ve read that baby dragons shapeshift into other creatures in order to experience the world. Sythe: Is that it, Nibs? Are you actually a fierce, fire-breathing dragon under that fur?! Sythe: Well, if it’s true, at least she’s a friendly dragon! Maren: Euck! Whatever it is, just keep it away from me.